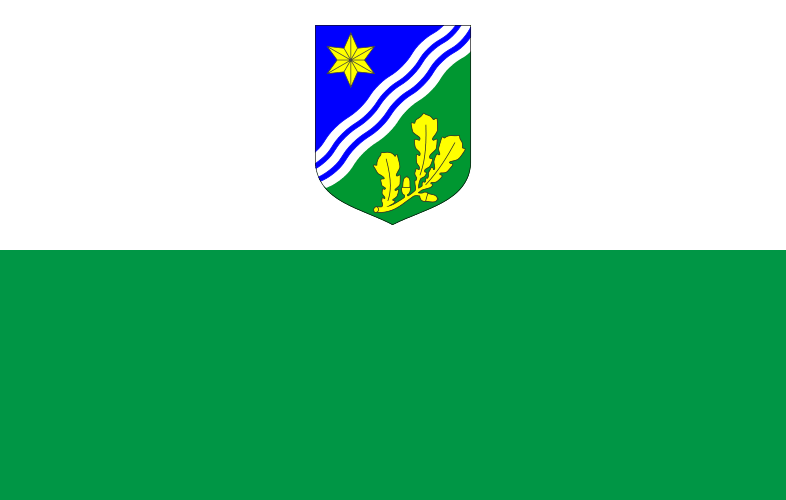 The flag of the Estonian county of Tartu consists of two horizontal bands of white and green with the county’s coat of arms in the center of the white band. The coat of arms is split into two parts, the top-left part has a golden six-point star on a blue background and the bottom-right side consists of a golden oak branch on a green background. This flag was adopted on September 25th, 1996.